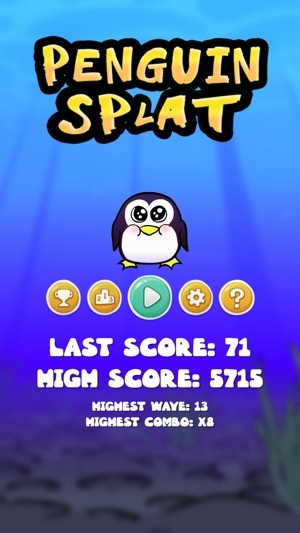 Wave after wave of endless, unique and addictive arcade fun as your penguin gang bounces off the heads of the nasty jellyfish. Ever had your favourite beach closed by an invasion of jellyfish? It's time to get your revenge. 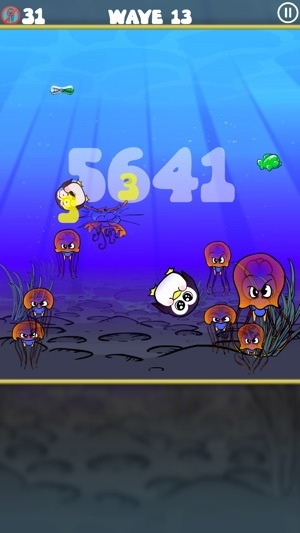 Take control of a gang of roly poly penguins and splat those jellyfish back into harmless goo. 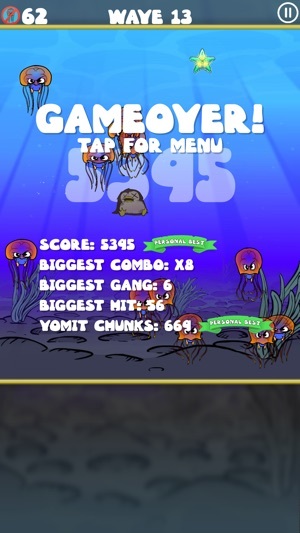 • Rack up massive scores with mega combos by splatting lots of jellyfish quickly. The quicker you splat them, the bigger your combo! 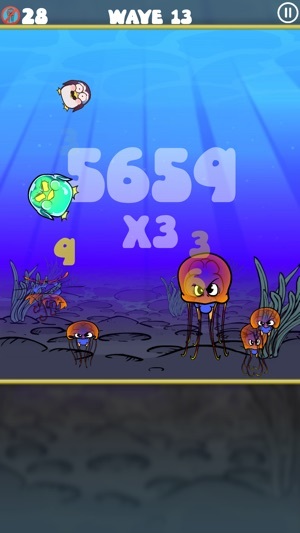 • How many waves can you survive? Can you beat your friends? • How many gummi fish can a penguin eat before it barfs? 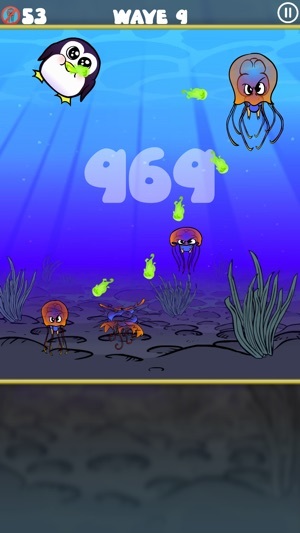 • What sound does a jellyfish make when it's too big to splat? • What happens to a penguin when it eats a radioactive starfish? • What is a group of penguins in the water called? (Ok, it's actually called a "raft", but we thought "gang" sounded better). 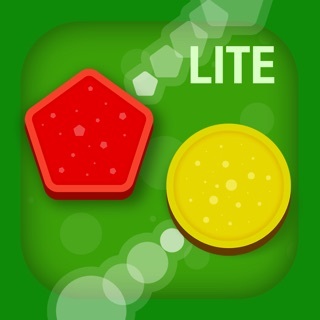 Great game with fun powerups! 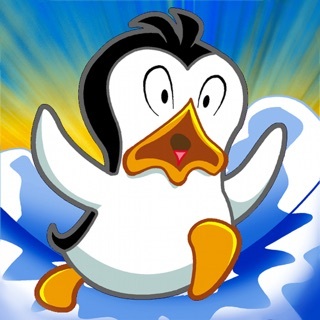 Racing Penguin: Slide and Fly!